Realty News Report editor Ralph Bivins has selected the most significant projects, deals and ideas of the Houston real estate market for 2015. These aren’t necessarily the largest or the first. But the deals point to future trends, potential gold mines, noble visions and notable accomplishments by the smart professionals who are making them happen. 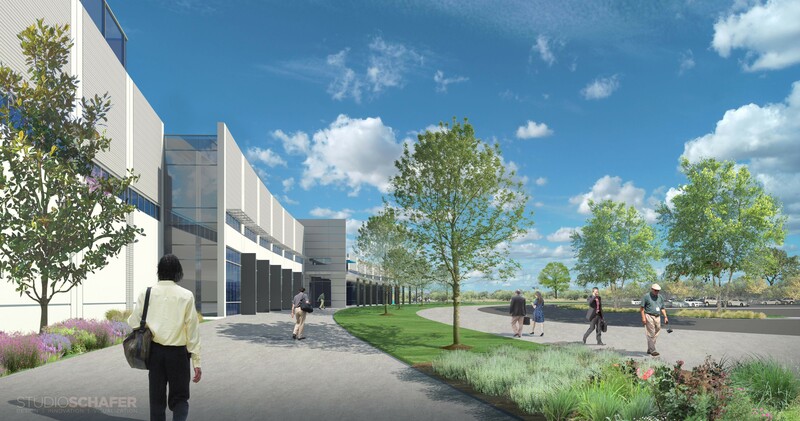 Rendering of Daikin’s 4 Million SF Houston facility, which is the largest tilt-wall project in the world. Best Construction Project of the Year – The largest tilt-wall construction project in the world is Daikin Industries’ 4 million square-foot HVAC manufacturing facility, under construction in northwest Houston. Some 4,000 will be employed there, including hundreds relocating from Tennessee. Architecture for the $420 million project is by Powers Brown Architecture, LJB Inc. is the engineer and D.E. Harvey Builders is general contractor. The project, slated to open in 2016, is on Highway 290, three miles west of the Grand Parkway.